…which is why you need to shop Solid Signal. There are a lot of reasons you might still want a converter box. 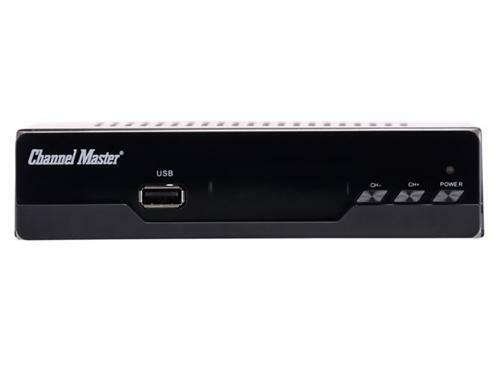 Some of them like this Channel Master model can be used as a DVR if you attach a USB hard drive. Some output full 1080p and you can use them to turn an old monitor into a new TV. And of course, all of them can still be used to make that indestructible tube TV in your basement or garage work with an antenna or unencrypted cable signal. I’ll give you this — converter boxes aren’t selling by the millions anymore. That’s fine, because Solid Signal does just fine selling them. Numbers are hard to confirm, but we have reason to believe that we have about 25% of the total converter box market. We would be just fine if we captured 100% of the converter box market. We’re not giving up on the technology and that’s because you, our faithful Solid Signal fan bases, don’t want us to. People tell us all the time that the appreciate it when we sell hard-to-find items. It’s not easy to find the best selection of the newest (and not-so-newest) technology but you have to hand it to the product folks at Solid Signal for listening to customers and what they really want. And surprisingly… that includes converter boxes. Who knew? And what’s next? You wouldn’t believe me if I told you were were going to start selling manual typewriters, would you?